Integrity – We do what we say we will do. We seek to model what we seek to multiply. Spirit Dependent – We prayerfully approach every coaching session as a three-way conversation. Consistent Excellence -We do our best. Self-Leadership -We accept the responsibility for personal growth and excellence through training as well as giving and receiving honest feedback. Confident Expectancy -We believe God is able. We expect Him to change lives. We see a multiplying movement of personal coaching and leadership training that will have a significant impact on hundreds of churches. In addition to establishing 5 Regional Training Centers in South Carolina, Vision Ventures is multiplying a team of effective coaches who are equipped to help Kingdom leaders live and lead at a higher level. 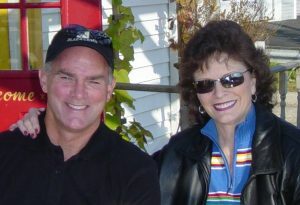 Steve and Trish launched Vision Ventures in 2005. They have used their complementing gifts to serve churches, develop Kingdom impact ministries, and create training materials throughout their marriage. Steve and Trish have 3 married children and 11 grandchildren. Steve served as senior pastor of Northside Baptist Church, now in Lexington SC, for twenty years prior to launching the ministry of Vision Ventures. He received a Bachelor of Arts from Misssissippi College, a Master of Divinity from Southwestern Theological Seminary and a Doctor of Ministry from Columbia International University. He has received coaching certifications through Valwood Coaching Institute and Transformational Leadership Coaching.